Tickets are on now on sale at the Museum of St Helena and The Consulate Hotel priced at £1.50 per person but this screening has limited availability. 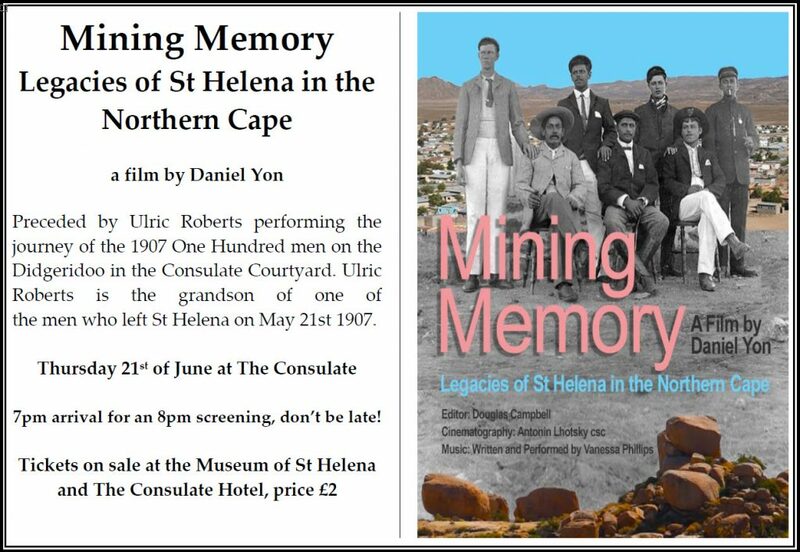 The screening will start at 8 pm but guests are asked to arrive by at least 7 pm, The film which was set in and shot in Concordia in the Northern Cape was also screen at the premiered at the Encounters Film Festival in South Africa just over two weeks ago. you can read more detail about the film here in a blog post publish last month.